To help with due diligence, AWS, which was overseeing the prospective acquisition, hired a third-party company to scrutinise Elemental’s security, according to one person familiar with the process. The first pass uncovered troubling issues, prompting AWS to take a closer look at Elemental’s main product: the expensive servers that customers installed in their networks to handle the video compression. These servers were assembled for Elemental by Super Micro Computer Inc., a San Jose-based company (commonly known as Supermicro) that’s also one of the world’s biggest suppliers of server motherboards, the fiberglass-mounted clusters of chips and capacitors that act as the neurons of data centres large and small. In late spring of 2015, Elemental’s staff boxed up several servers and sent them to Ontario, Canada, for the third-party security company to test, the person says. Featured in Bloomberg Businessweek, Oct. 8, 2018. 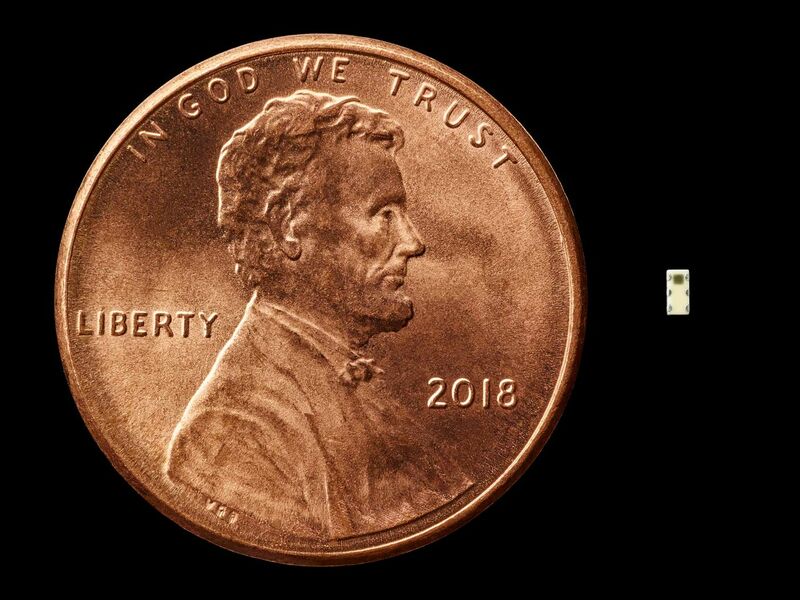 Nested on the servers’ motherboards, the testers found a tiny microchip, not much bigger than a grain of rice, that wasn’t part of the boards’ original design. Amazon reported the discovery to U.S. authorities, sending a shudder through the intelligence community. Elemental’s servers could be found in Department of Defence data centres, the CIA’s drone operations, and the onboard networks of Navy warships. And Elemental was just one of hundreds of Supermicro customers. There are two ways for spies to alter the guts of computer equipment. One, known as interdiction, consists of manipulating devices as they’re in transit from manufacturer to customer. This approach is favoured by U.S. spy agencies, according to documents leaked by former National Security Agency contractor Edward Snowden. The other method involves seeding changes from the very beginning. One country in particular has an advantage executing this kind of attack: China, which by some estimates makes 75 percent of the world’s mobile phones and 90 percent of its PCs. Still, to actually accomplish a seeding attack would mean developing a deep understanding of a product’s design, manipulating components at the factory, and ensuring that the doctored devices made it through the global logistics chain to the desired location—a feat akin to throwing a stick in the Yangtze River upstream from Shanghai and ensuring that it washes ashore in Seattle. In emailed statements, Amazon (which announced its acquisition of Elemental in September 2015), Apple, and Supermicro disputed summaries of Bloomberg Businessweek’s reporting. Elemental also started working with American spy agencies. In 2009 the company announced a development partnership with In-Q-Tel Inc., the CIA’s investment arm, a deal that paved the way for Elemental servers to be used in national security missions across the U.S. government. Public documents, including the company’s own promotional materials, show that the servers have been used inside Department of Defence data centres to process drone and surveillance-camera footage, on Navy warships to transmit feeds of airborne missions, and inside government buildings to enable secure videoconferencing. NASA, both houses of Congress, and the Department of Homeland Security have also been customers. This portfolio made Elemental a target for foreign adversaries. The security of the global technology supply chain had been compromised, even if consumers and most companies didn’t know it yet. This system could let the attackers alter how the device functioned, line by line, however they wanted, leaving no one the wiser. To understand the power that would give them, take this hypothetical example: Somewhere in the Linux operating system, which runs in many servers, is code that authorises a user by verifying a typed password against a stored encrypted one. An implanted chip can alter part of that code so the server won’t check for a password—and presto! A secure machine is open to any and all users. 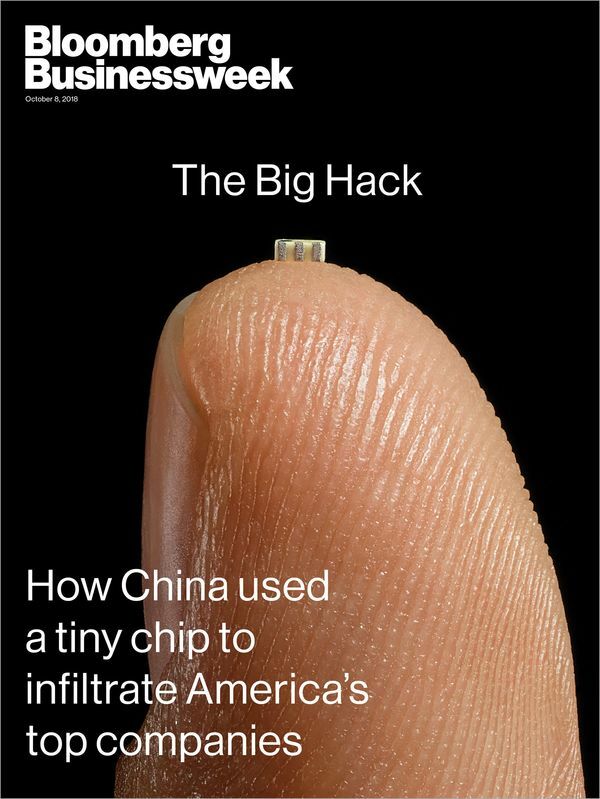 A chip can also steal encryption keys for secure communications, block security updates that would neutralise the attack, and open up new pathways to the internet. Should some anomaly be noticed, it would likely be cast as an unexplained oddity. “The hardware opens whatever door it wants,” says Joe FitzPatrick, founder of Hardware Security Resources LLC, a company that trains cybersecurity professionals in hardware hacking techniques. As recently as 2016, according to DigiTimes, a news site specialising in supply chain research, Supermicro had three primary manufacturers constructing its motherboards, two headquartered in Taiwan and one in Shanghai. When such suppliers are choked with big orders, they sometimes parcel out work to subcontractors. In order to get further down the trail, U.S. spy agencies drew on the prodigious tools at their disposal. They sifted through communications intercepts, tapped informants in Taiwan and China, even tracked key individuals through their phones, according to the person briefed on evidence gathered during the probe. Eventually, that person says, they traced the malicious chips to four subcontracting factories that had been building Supermicro motherboards for at least two years. As the agents monitored interactions among Chinese officials, motherboard manufacturers, and middlemen, they glimpsed how the seeding process worked. In some cases, plant managers were approached by people who claimed to represent Supermicro or who held positions suggesting a connection to the government. The middlemen would request changes to the motherboards’ original designs, initially offering bribes in conjunction with their unusual requests. If that didn’t work, they threatened factory managers with inspections that could shut down their plants. Once arrangements were in place, the middlemen would organise delivery of the chips to the factories. The investigators concluded that this intricate scheme was the work of a People’s Liberation Army unit specialising in hardware attacks, according to two people briefed on its activities. The existence of this group has never been revealed before, but one official says, “We’ve been tracking these guys for longer than we’d like to admit.” The unit is believed to focus on high-priority targets, including advanced commercial technology and the computers of rival militaries. In past attacks, it targeted the designs for high-performance computer chips and computing systems of large U.S. internet providers. The Supermicro attack was on another order entirely from earlier episodes attributed to the PLA. It threatened to have reached a dizzying array of end users, with some vital ones in the mix. Apple, for its part, has used Supermicro hardware in its data centres sporadically for years, but the relationship intensified after 2013, when Apple acquired a startup called Topsy Labs, which created superfast technology for indexing and searching vast troves of internet content. By 2014, the startup was put to work building small data centres in or near major global cities. This project, known internally as Ledbelly, was designed to make the search function for Apple’s voice assistant, Siri, faster, according to the three senior Apple insiders. Documents seen by Businessweek show that in 2014, Apple planned to order more than 6,000 Supermicro servers for installation in 17 locations, including Amsterdam, Chicago, Hong Kong, Los Angeles, New York, San Jose, Singapore, and Tokyo, plus 4,000 servers for its existing North Carolina and Oregon data centres. Those orders were supposed to double, to 20,000, by 2015. Ledbelly made Apple an important Supermicro customer at the exact same time the PLA was found to be manipulating the vendor’s hardware. As for Apple, one of the three senior insiders says that in the summer of 2015, a few weeks after it identified the malicious chips, the company started removing all Supermicro servers from its data centres, a process Apple referred to internally as “going to zero.” Every Supermicro server, all 7,000 or so, was replaced in a matter of weeks, the senior insider says. (Apple denies that any servers were removed.) In 2016, Apple informed Supermicro that it was severing their relationship entirely—a decision a spokesman for Apple ascribed in response to Businessweek’s questions to an unrelated and relatively minor security incident. Concurrent with the illicit chips’ discovery in 2015 and the unfolding investigation, Supermicro has been plagued by an accounting problem, which the company characterises as an issue related to the timing of certain revenue recognition. After missing two deadlines to file quarterly and annual reports required by regulators, Supermicro was delisted from the Nasdaq on Aug. 23 of this year. It marked an extraordinary stumble for a company whose annual revenue had risen sharply in the previous four years, from a reported $1.5 billion in 2014 to a projected $3.2 billion this year. In the weeks after the agreement was announced, the U.S. government quietly raised the alarm with several dozen tech executives and investors at a small, invite-only meeting in McLean, Va., organised by the Pentagon. According to someone who was present, Defence Department officials briefed the technologists on a recent attack and asked them to think about creating commercial products that could detect hardware implants. Attendees weren’t told the name of the hardware maker involved, but it was clear to at least some in the room that it was Supermicro, the person says.